As an amateur but over enthusiastic gardener, I used to constantly look for ideas that could take my garden to a better level, on a low budget! *spending all my pocket money on garden things. One popular wing of these “garden ideas” is crafts i.e. 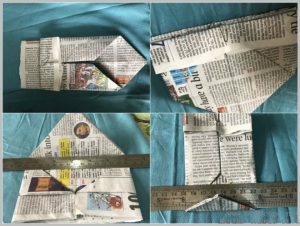 recycling homemade things to use in gardens like planters, seed starters, composters etc. primarily with the idea of saving money, resources & do something “different”. 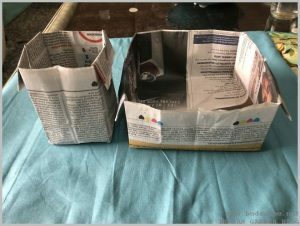 It was one of those afternoons of browsing when I came across the concept of making newspaper pots to start seeds & bulbs. 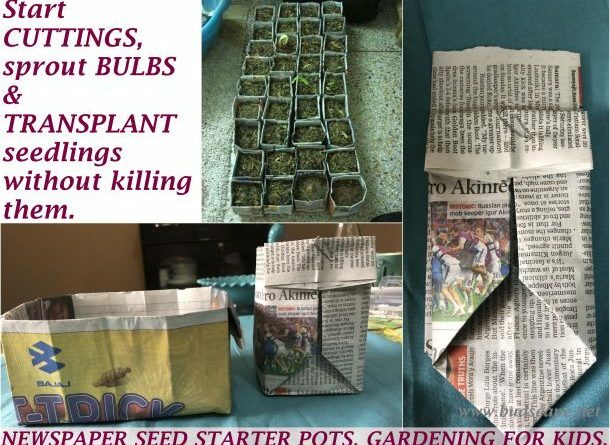 It seemed like a good way to recycle newspaper, save money on seed starting equipment and also lessen mortality in transplant. Soon, I was hooked and my first batch put to good use. I sowed bulbs in these pots because I could control watering, prevent bulb rot and transplant only those bulbs that had sprouted. Making these newspaper boxes, led me to be interested in Origami, the Japanese art of paper folding and I discovered many ways of making boxes to hold stationery, jewelry etc. I still love to indulge in it, occasionally. I have made a collage pictorial for the steps that are very easy to see & understand. Do not use single layer paper. 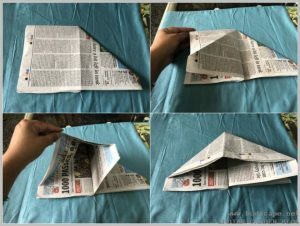 Do not use a square paper. Fold the newspaper at-least twice for a sturdy pot OR use a thick paper. Layers work better because even if the inner one gets soggy, the outer ones hold the structure. FOLD INTO A TRIANGLE. FLIP & DO THE SAME FROM THE OTHER SIDE. 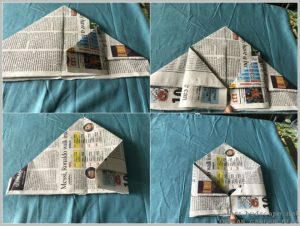 See videos to understand this step better. 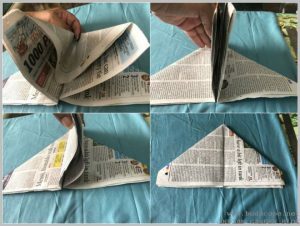 Bring opposite sides together to remove the line(cut) in the center. BRING THE FLAP DOWN AND USE A PAPER CLIP TO SECURE. 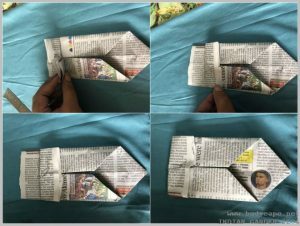 You can also staple it but paper clips are reusable and better. Remove them before moving seedling into soil though. OPTIONAL – FOLD TWICE for a narrow deep box. Secure similarly. CREATE A FOLD LINE FOR THE BASE OF THE BOX. Do not fold. Only create a line with a scale. 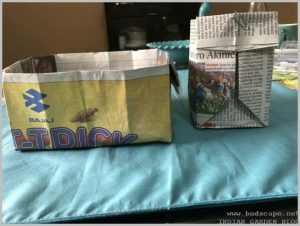 USE NEWSPAPER BOXES TO PLANT SEEDS, BULBS AND EVEN CUTTINGS. Paper can decompose, which means, you can plant the seedling along with the pot. 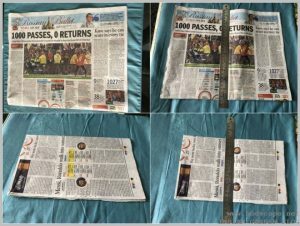 This is the major advantage of newspaper pots. There will be no transplant shock as seedling is not removed from soil. 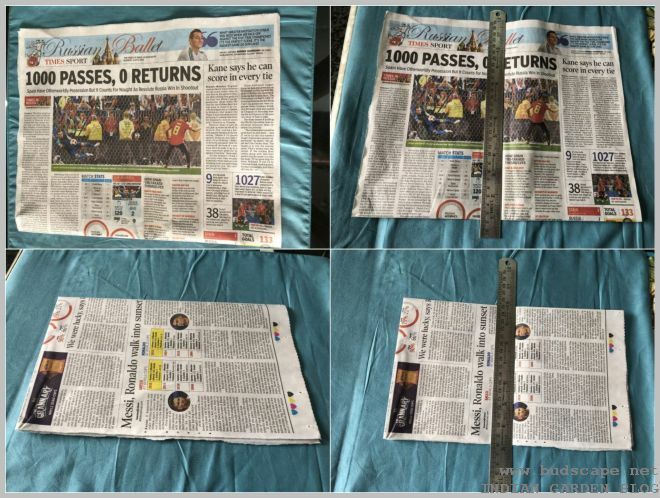 You can adjust the size & shape to your liking. Paper allows soil to breathe while retaining moisture. It is healthier for the roots. 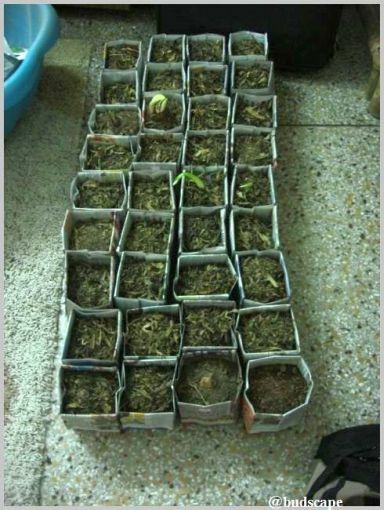 You will not be able to over-water and hence not killing the seedlings due to root rot. 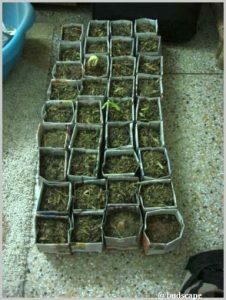 Excess water kills seedlings. It is an easy garden project to teach kids up cycling. They can be used to start cuttings, most of which die during transplant. This solves the problem. You cannot move them around much. If you wish to change locations, consider placing them all over a tray. You need to water carefully to not get them soaking wet. You cannot use newspaper paper pots to start seeds of vegetables because the ink leeches into the soil BUT you can use normal thick paper to make pots for sowing vegetable seeds. They are single-use. This could be good or bad depending on your need. Use light-weight well draining soil. This is essential for seeds anyhow. 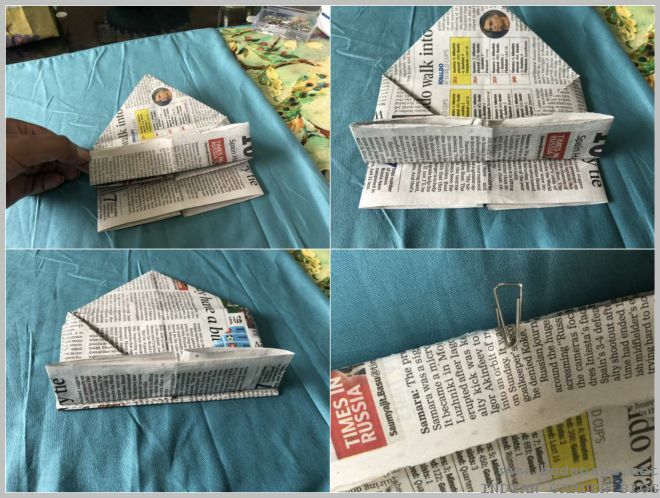 Have you tried making newspaper pots to sow seeds? Tell me all about it!